In our commitment to end all your problems with dry skin from within and the natural way, we have reviewed 5 of the best vitamins for dry skin in the market today. These supplements were picked based on their ingredients, ability to heal dry and cracked skin as well as affordability. The Super Collagen by NeoCell is for those who hate taking in capsules. Packed with collagen, it helps improve hydration and elasticity in the skin to minimize wrinkles and fine lines. The Turmeric Formula by Organic India is another product rich in antioxidants. It fights the harmful effects of free radicals in the body for a more radiant skin. Amazing Nutrition’s Amazing Formulas Hyaluronic Acid is known to improve the health of the skin. Each capsule comes in 100mg to ensure you get this vitamin’s maximum benefits. 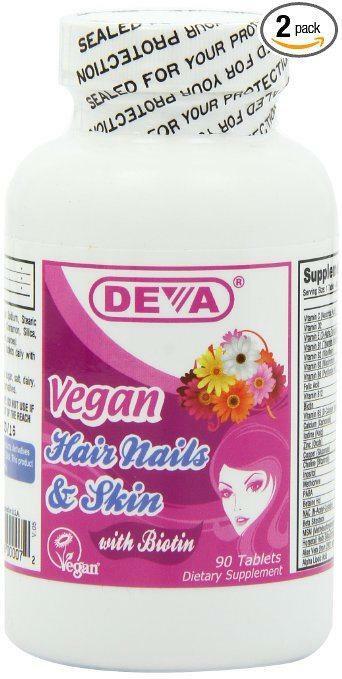 Deva’s Vegan Hair, Nails & Skin Support is packed with biotin that helps promote healthy skin. It works beneath the skin’s surface to ensure a youthful glow that radiates from within. 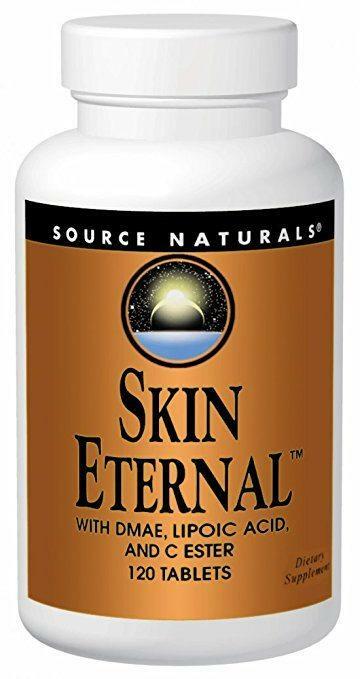 Full of antioxidants, the Skin Eternal by Source Naturals supports cell membrane integrity. From an award-winning skincare line, it promises beautiful skin from the inside out. This is the best vitamin for dry skin is as it contains collagen. Collagen production slows down as we get older and this drink helps in replenishing lost collagen for increased skin firmness. When our body is abundant with collagen, skin elasticity is improved and, thus, wrinkles and fine lines are reduced. Like a body glue, it promotes youthful vitality by preventing premature aging. What’s interesting about this product is it’s in powdered form. This is brilliant because since not all of us are fans of taking in supplements, it’s a great alternative to prevent nutrient deficiency. What makes this the best vitamin for dry skin is its advanced enzymatic hydrolyzation process. It breaks down large collagen molecules, so it can be absorbed by our skin cells better. Collagen is responsible for maintaining the skin’s elasticity and structure. But it can be broken down by a lot of stressors and a lack of it means the skin’s youthful appearance also vanishes. These drinks help by “tricking” our collagen factories to be more active. Since it comes in smaller states and dissolved in water, the job is easier since they’re already in hydrolyzed form. This product is great for dry skin because it is rich in antioxidants. These antioxidants help fight harmful free radicals in the body and thus, a more supple and radiant skin. These capsules help nourish and cleanse the blood and the lymph system. It promotes healthy inflammation and immune response and supports overall cellular health, too. This product is safe for both vegetarians and vegans. Gluten-free, it is made with certified organic herbs and is a safe herbal dietary supplement. What makes this a great vitamin for dry skin is that it is non-GMO certified. And because this product supports immune health, this might be the only product you need to depend upon. Turmeric reduces blemishes, pigmentation and skin inflammation because of its anti-inflammatory properties. It also improves and prevents wrinkles due to its anti-aging properties. When ingested, turmeric nourishes and gives the skin a natural glow. A great moisturizer, turmeric can help with various skin conditions like rashes, psoriasis and eczema. This vitamin is beneficial for dry skin because of is its hyaluronic acid content. This ingredient is known to enhance the health of the skin by promoting healthy-looking and youthful skin. But aside from skin health, this product also promotes joint health. It provides lubrication to increase joint mobility, so we won’t have to worry about sudden stiffness while moving. What we really like about this product is that it is free of any common allergens. This gives you less worries and more confident in adding this to your daily healthy eating plan. We think this is the best vitamin for dry skin because each capsule contains 100 mg of HA. HA is best taken orally, so having such a high concentration means you’re maximizing its benefits. A naturally-occurring carbohydrate, Hyaluronic acid holds onto water to increase hydration. It also helps moisten the skin’s surface, which facilitates healing and alleviates dryness. And because it is naturally-occurring in the body, possible sensitivity or allergic reactions remains low. However, it is still best to visit your doctor if itching starts to develop. Its inclusion of biotin makes this vitamin really helpful for dry skin. Biotin is vital for healthy skin, but since it is expensive, a lot of multivitamins fail to carry or have little of this essential nutrient. Its synergetic formula is also what makes this product unique. It is packed with important skin nutrients like Horsetail Extract, MSM and Cysteine, making it the perfect dietary supplement. Its 500 mcg content of Biotin is what makes this the best vitamin for dry skin. Though biotin is generally safe, it is still best to contact your physician in case an allergic reaction occurs. Aside from severe dryness and cracking, biotin can also help with rashes, fungal infections and acne. High doses of this vitamin can also help treat weak nails and hair. The grape seed extract content of this product makes this vitamin highly effective for dry skin. This ingredient is known to fight free radicals and supports the integrity of collagen and elastin. This product contains Ascorbyl Palmitate, which is known to provide antioxidant protection to cell membranes. It also contains DMAE, an important component of skin cell membranes. Alpha-lipoic acid, its last component, recycles the antioxidant vitamins E and C. When combined, these ingredients promote total cell renewal and antioxidant defense. These tablets come from an award-winning skincare line. With the power of science, this product promises its customers radiant skin that’s fully recharged and revitalized. The advantage of using Ascorbyl Palmitate is that it stimulates collagen synthesis. Since it is absorbed better compared to Vitamin C, only a small dosage is required. It also has a lot of powerful antioxidant properties. It also helps protect Vitamin E from oxidation caused by free radicals and thus, prevents the signs of premature aging. Why Do I Get Dry Skin? Health problems, such as thyroid problems and diabetes, can lead to dry skin. Furthermore, skin conditions like psoriasis and eczema can also cause scaly and flaky patches on the skin. Medications, like those for acne and high blood pressure, can also be the cause in some cases. If you think your medications are the culprit, ask your doctor for an alternative treatment. A lack of some essential vitamins can also be the source of common skin complaints. This can be prevented by eating a balanced diet full of nuts, fruits, fresh vegetables and lean protein. Additionally, taking nutritional supplements may aid in boosting vitamins and minerals in our body. These help by increasing the production of healthy skin cells. Retinoids, a derivative of Vitamin A, help maintain healthy, smooth skin. Retinoids like retinol, Tazarac, Retin A, Differin and Atralin slow down the breakdown of collagen. Collagen and elastin are two fibrous proteins that keep skin healthy-looking, elastic and firm.Applying topical retinoids help reduce the appearance of fine lines and sun damage. Foods rich in Vitamin A include cantaloupe, carrots, oranges, leafy greens, eggs, cheese and low-fat milk. Other essential nutrients include Vitamins B, C and E. Vitamin B boost the levels of riboflavin, thiamine and pantothenic acid that help moisturize and strengthen skin. Like most cases, dry skin can be prevented by eating a balanced diet. Fortunately, everything we need is in nature, as buying all these expensive things is something not everyone can afford. But we understand that no matter how hard we try, maintaining a balanced diet can be difficult. Good thing food supplements exist to fill our nutritional deficiencies in a much cheaper way. And did we mention more convenient? We have chosen the Super Collagen by NeoCell as the best vitamin for dry skin. Packed with collagen, it is clinically proven to boost skin hydration for softer and firmer skin. It comes in powdered form, so for those who hate taking in capsules or tablets, this is perfect for you. It also comes with a low price tag, so budget-conscious people will definitely enjoy this.